For a quick snack or a meal on the go, Jamba Juice is a favorite, especially with the health-conscious crowd. Jamba Juice is an international chain of smoothie shops that is growing due to its excellent business model and the popularity of the product. For someone who has never tried the product, it would be easy to assume this business specializes in juice, but Jamba Juice sells smoothies. The smoothies are affordable, tasty, come in a range of fruit flavors, and can be a complete meal if powder or extras are added. Are you looking to break into the food service business? Consider Jamba Juice, the perfect first gig in the hospitality biz. Today, Jamba Juice has 850 stores in the United States, and that number is growing. They locate most stores in densely populated urban areas, and the company is relatively new to the restaurant scene. 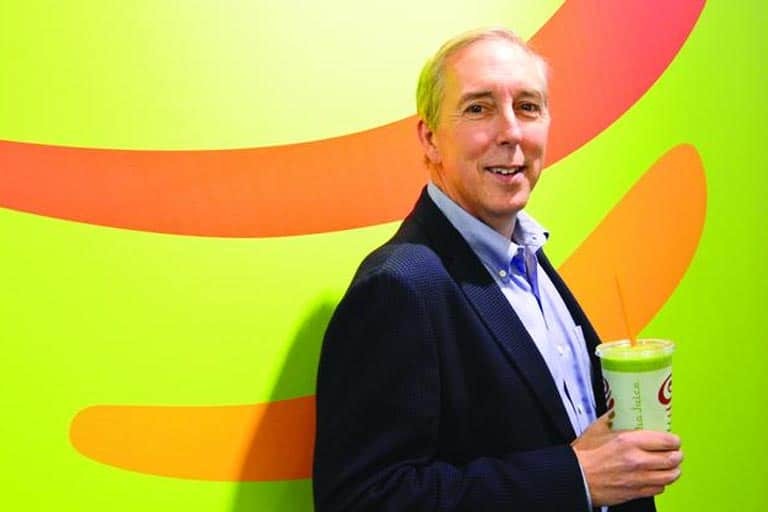 Unlike stalwarts such as Dairy Queen, Jamba Juice is part of a new generation of quick-stop, health beverage stores such as Starbucks or Planet Smoothie. Customers are younger. The smoothie craze is similar in growth and popularity to the frozen yogurt craze of the 80s, but sales have been more stable. Frozen yogurt shops went out of business at lightning speed a decade ago, but smoothies sell steadily and reliably. Since a smoothie is easy to make, and requires only a blender at home, a handful of fruit and some milk, it surprise consumers that hundreds of smoothie shops get regular business. But smoothies, which originated in California in the 1970s as part of the beach and fitness scene, can include more than fruit and are an instant “health food” that also taste great. Healthy and delicious is a killer combination, and the third magical element of smoothies is they are portable. In the new smoothie revolution of the 21st century, shops like Jamba Juice add in extra nutritious elements, like ginseng, whey, or vitamin C.
One challenge in running a smoothie operation like Jamba Juice involves the use of fruit. Because fruits are a natural food that ripen, there are two issues that develop in transport and storage. Fruit has to be ripe to be usable in smoothies but it also spoils easily. There is a small window in which fruit can be used, so it is often frozen. Jamba Juice uses fruit concentrates and freeze-dried fruits which result in great flavor but minimize problems with the shelf life and spoilage. This means great taste and quality in every smoothie purchased. A smoothie shop is a fun experience if you like working retail and customer service. Unlike its rivals, yogurt and ice cream shops, the product is 100% healthy. Making smoothies is fun, and the work is like what baristas do in coffee shops, but lower stress. A Jamba Juice employee is like a bartender, barista, and server all at once. This gives Jamba Juice workers exposure to several facets of restaurant work and is a great experience if hospitality is a career aspiration. If you want to get a foothold at Jamba Juice, know the interview style and questions. After completing a written application in a Jamba Juice store, you may be asked to interview on the spot. Be prepared, because saying yes shows you are eager to work there and are also cooperative. The interview will take place in the manager’s office in the store’s back and is one-on-one. Be friendly, smile, and remember to relax and ask questions about what the job entails. The job title you will most likely be applying for is Jamba Juice Service Associate. The interviews for Jamba Juice customer service positions are brief, only about ten to twenty minutes, and happen in a light conversational style. The questions usually include one that asks about personal accomplishments, so be ready to talk about two things you’ve done that make you proud. A second question, typically of many interviewees, asks about your personality weaknesses. These are standard interview questions, but it’s best to prepare an answer so you won’t be tongue-tied. Especially if this is your first job interview, it’s important to practice answers to these two questions. 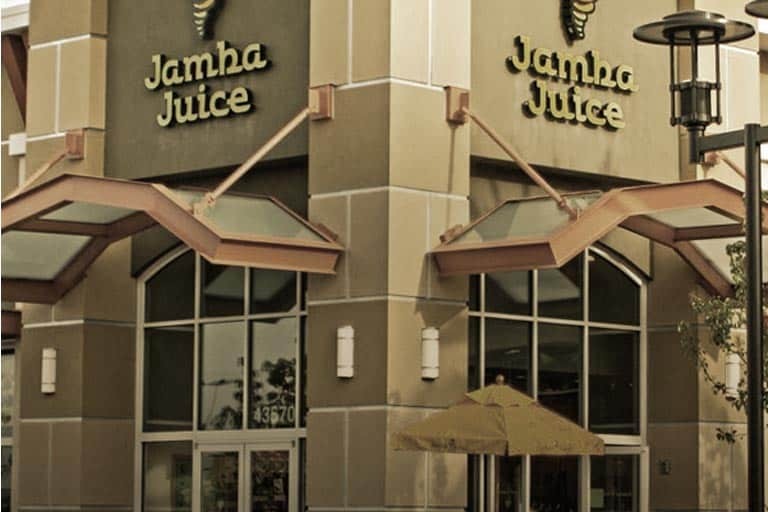 Applicants with food service experience, including waitressing and fast-food, have an edge in interviewing for a Jamba Juice Service Associate position. If you have stated on your application “yes” to food service experience, be prepared to answer questions such as, “How do you define good customer service?” and “What is upselling?” If you don’t have restaurant experience, look up information or ask a friend about what skills are used in food service. Jamba Juice serves mainly a younger crowd. They locate their stores on college campuses, in urban regions with a young workforce, and in malls where young people congregate. You should describe how you relate to young people, or mention how you like being around high-energy people, or are into fitness yourself. The biggest advantage you will have is through an upbeat, cheerful personality. Don’t overdo it, but show enthusiasm. If you want a job at this popular smoothie chain, your natural excitement should shine through. But beyond personality, there are a few other ways to get noticed. The written application is a formality, but the way you fill it out will make an impression on the manager. Be sure to complete all items, especially when asked about past jobs. If you have to look up phone numbers and addresses, do so to complete all questions about references. You want to make it easy to hire you, and if a manager has to Google a phone number to call you past boss, that is one more hassle for them. Fill out the form completely and in neat handwriting. Small steps like this set candidates apart. A few days after your interview, call or stop by to follow up with the manager. If you find another manager there, ask about the hiring process. Asking if anybody has anyone been hired for the position is a good question. Smile, be friendly, and leave a good impression no matter who you talk with at the store. If you hear nothing back from an in-person query, write an email to the manager thanking her or him for the interview. If the store you applied to hasn’t responded, don’t give up. There are likely several Jamba Juice stores in your city, so interview again. This will hone your skills in job interviewing and show you are determined to get the job. You may have been passed over for the job because of timing or someone who was more experienced in the position. Interviews follow the same format for most jobs, but the Jamba Juice interview is just one time so you have that short period to make an impression. While this interview isn’t in a high rise office or a fancy boutique, you want to look clean and tidy but not too dressed up. Wear some color—remember, you are working with fruit! Business casual is what we recommend, but show you’ve put thought into your appearance. Get the manager’s name and use it once or twice. If you want to move on to more advanced skills, remember the names of other employees. This is how politicians get elected. People like to feel noticed and acknowledged and using someone’s name shows you care. Avoid: sitting on your hands, slumping, or making zero eye contact. The best posture is upright, with arms asymmetrical to show relaxation. If you sit with hands crossed over your lap, leaning forward you will give the impression you are “at attention.” The manager would rather have a relaxed interviewee than a soldier. If the interview takes place “on the fly” while you are standing, mirror the manager’s posture as much as possible. Mumbling is problematic, and so is fast talking. Speak to the hiring manager as you would anybody you respect. Modulate your speech to match the manager’s style of communication, as you would with someone you are getting to know. Keep it conversational but make sure your voice is clear and be sure your words are heard. Jamba Juice is a great way to work in food service because it is upbeat, the product is fun, and the customers truly enjoy their smoothies. It is the perfect entry-level food service position. The best part about the interview is that you will know which questions are coming your way. Since the interview is brief, practicing talking about your strengths and deficits, and your food service experience, should prepare you. Take it seriously, but remember to smile and relax, and you will ace it!